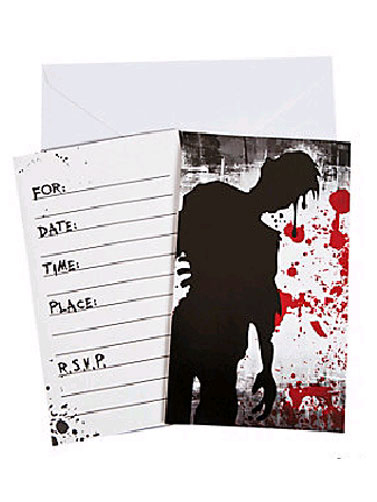 These Bloody Zombie Party Invitations feature a black zombie silhouette against a blood splattered wall. Perfect for Halloween and any zombie themed event you may have. There is a spot for everything they need to know including place, date, time and RSVP. Bloody Zombie Party Invitations measure 3.25"W x 5.5"H. and includes white envelopes. 8 ct.